My wife and I reside in Hyde Park with our three children, and dog Murphy. We enjoy being active in the Hyde Park community through various civic and philanthropic organizations. I currently serve as the President of the Hyde Park Neighborhood Council, am active in the St. Mary parish, and am a volunteer for Ault Park. 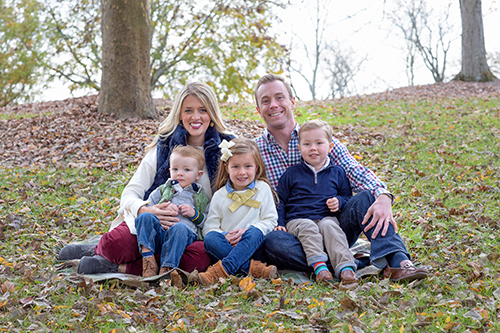 Our family enjoys spending time with one another and the kids love to frequent the parks, the Cincinnati Zoo and the Cincinnati Children's Museum. As a couple, we enjoy tennis, traveling, food, and wine. And when not working, I enjoy spending my time with the kids at the swim club, catching-up with friends, or relaxing on the back porch.